In recent years, the whole gray jacket has won over the traditional diplomatic cutaway and is one of the most chosen by the couple of our country. On the one hand, the character printed dress attire boyfriend, expressing their freedom and personality without skipping the standards of good clothing and elegance. 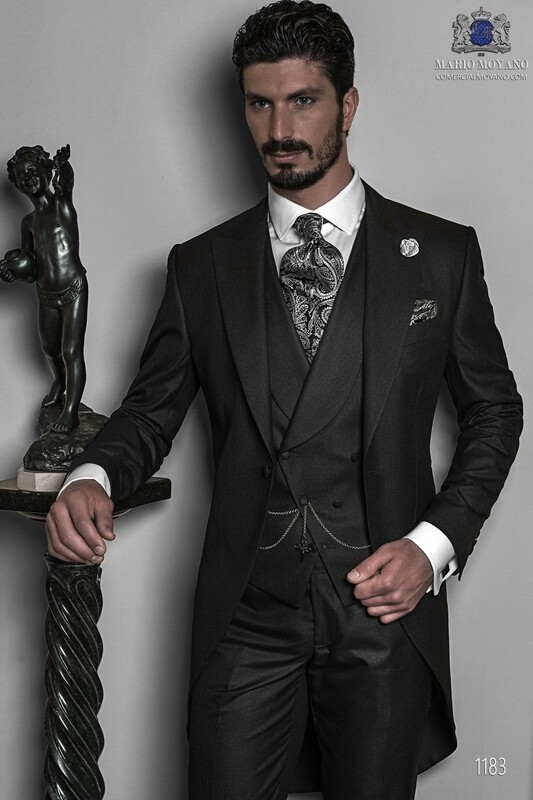 Furthermore, exempt the godfather, witnesses and wedding guests to follow the rigor of the dress code which is wearing the classic diplomatic tuxedo, since the gray morning coat not the rest are forced to wear morning dress, although it is advisable . 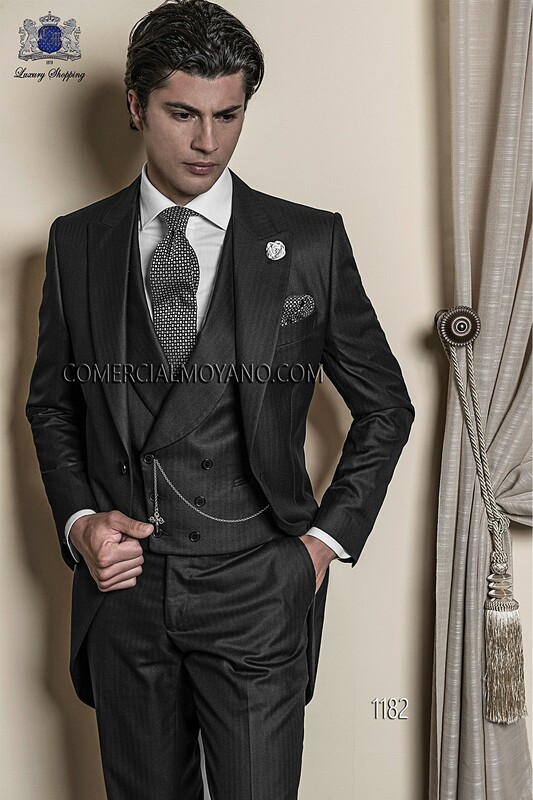 The monochrome option three pieces is very elegant, sophisticated and distinguished. Conjoined with ties in colors that best combine the same gray as the eternal black or blue, provide a sober and elegant result. They can be smooth or small designs like polka dots, thin stripes, etc. In warm seasons, silk and cold seasons, wool. 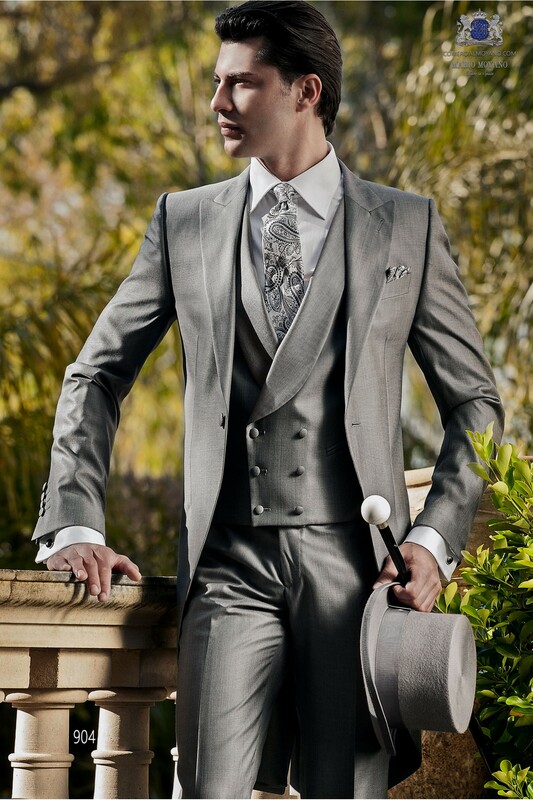 As for fabrics, you can opt for a formidable alpaca gray jacket, a cool fil a fil, an original pinstriped, classic herringbone or an aristocratic prince of wales. For the more daring and strong character, tartan vest option is bold, daring and certainly very original because usually, almost no boyfriend dares to get out of the established canons. In this case we choose one, preferably smooth unobtrusive tie. The best shirts for the gray morning coat are cutaway collar. The variety of colors for a ceremony can not leave the white or blue. While the blue shirt supports more variants, pinstriped or white collar. Yes, always double fist twins. 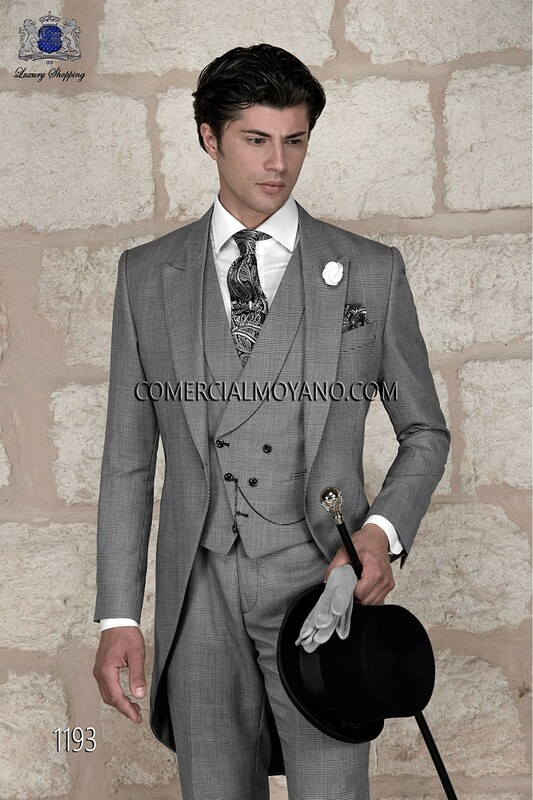 Another supplement that can not miss is the gray morning coat pocket handkerchief or pocket handkerchief. Some prefer to choose the same fabric or drawing tie. Others, for added versatility and apparent unconcern, which combine different tissue or drawing. Brand rules the groom. A supplement that does not support the alternative minimum or outburst. The protocol is rigid and unforgiving with this element. For his coat in general and in particular the gray morning coat, shoe groom must be a black lace pattern Oxford. To complete your perfect outfit, do not forget a good pair of suspenders and cufflinks in silver or black. Prevents belt is not appropriate for a wedding suit.